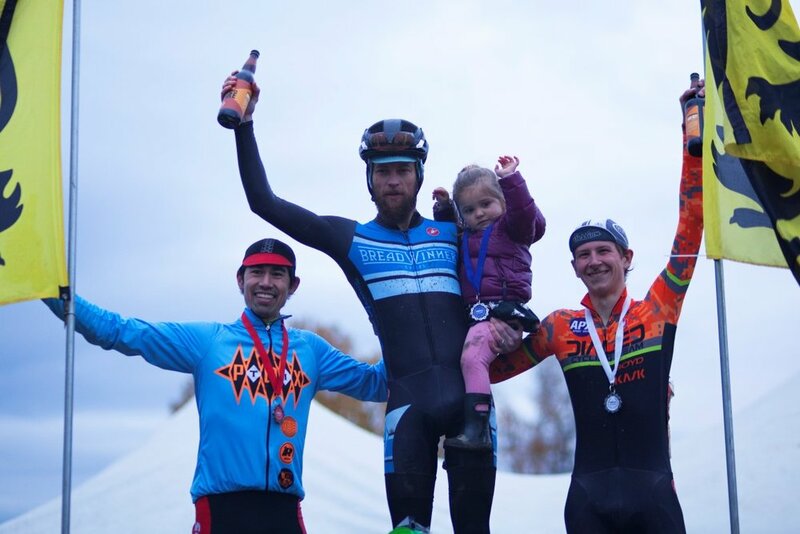 The last time PDXTI raced at Kruger's Farm on Sauvie Island was just under a year ago at the legendarinfamous™ SSCXWCXPDX cyclocross carnival. That race was about as sloppy as CX gets, in every sense of the word, and a wonderfully fun way to end the year. The team was back at Kruger's for the 2017 Oregon Bicycle Racing Association State Championships over the weekend for OBRA's last big CX race of the year. While conditions weren't as saturated as SS Worlds the ground was certainly wet and challenging. There is almost no elevation on Sauvie Island, but what the course lacks in elevation it makes up for in length and sticky, leg-sapping mud. Luckily our team is outfitted with Schwalbe X-One Bite tubeless tires, a fantastic mud tire that has performed flawlessly for PDXTI all season and was clearly a deciding factor in the team's Elite podium finishes at the Heiser Farms GP race, at Barton Park last week, and again Sunday at Kruger's. Thrilled to close out the OBRA State Champs with two racers in the Top 5 of the Elite field, and @andrewpcoe landing on the podium in 2nd Place.